The weeks are going so quickly; it doesn't seem five minutes since I was last posting 'Thursday Things' to you all. This week has been a bit of a blur but, as always, I've managed to get a good amount of internet browsing in that I can share with you all. 1. A fan going nuts for B at her gig - absolutely BRILLIANT. I would probably have a similar reaction...infact I definitely would if she grabbed my hand. 2. This week we saw the birth of Prince George Alexander Louis. 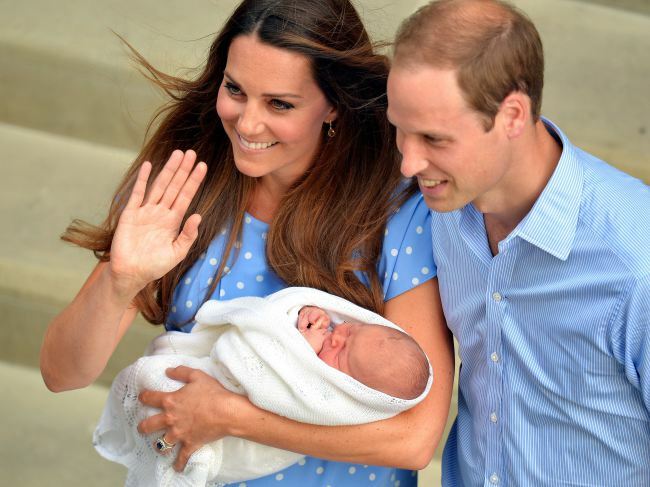 SO CUTE...To the point I become emotionally unstable every time a Royal gives a baby-related speech or I see the baby. Yep, problems?! I read this interesting article on the Huffington Post about names our names and the origin of them. 3. I'm guilty of this...and now a little concerned. The way we hold our bag can hurt our...wait for it...elbows. It bags hurting your elbows. The worst thing...it's got a name...Poshitis. Whatever next? 4. 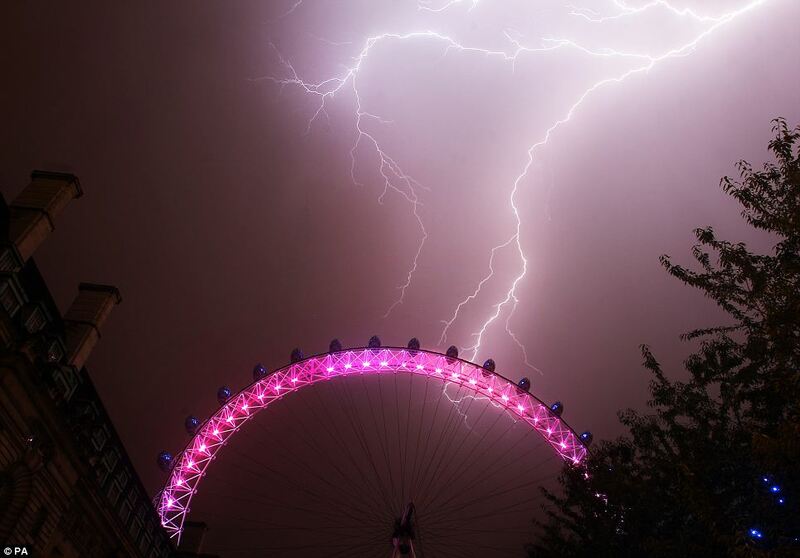 Craaazy mad weather this week in the UK - storms, floods...CRAZY. It provides some nice photography though! 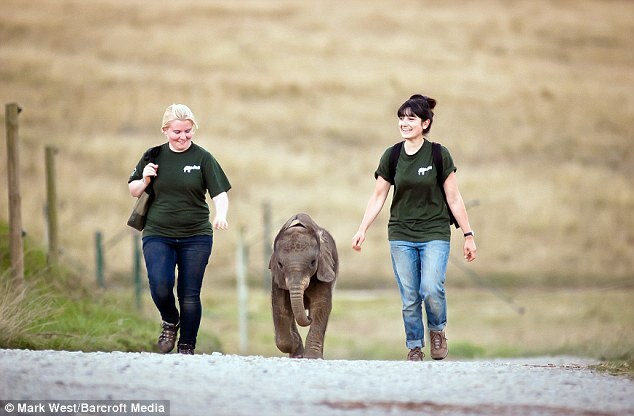 The Daily Mail have rounded up some of these snaps. 5. I may have actually found my dream job. AMAZING! 6. I've said before but I'm a BIG fan of Be Frassy run by the beautiful Audrey. This week she's sported this gorgeous playsuit. Want, need, must have. 7. These brownies I made this week. DE-LI-CIOUS. I want more. Right now. 8. A story about an inspirational dolphin?! Nature amazes me sometimes. 9. Obsessed with Rosie's blog. She takes beautiful pictures, her words are beautiful AND at the moment, she's posting a picture a day. I'm hooked! 10. And this one...this is a biggy. Domestic Violence against women needs acknowledging and I'm glad to see this all over the internet. Domestic violence is one of the biggest causes of injury to women world wide and I'm glad to see that Women's Aid and Kiera Knightly have teamed up to do this video to help those poor women out there that have to live with this everyday. Watch the video and you'll see the harsh reality women are faced with everyday; don't let this happen to somebody you know! Bit of a mixed bag this week! Poshitis? First time i hear that!